Do you know a kid who wants to dress up as an astronaut? Take a look at our collection of the best space suit costumes for kids. Are you looking for an Astronaut Suit for a child? This is the coolest kids space suit I can find! It even comes with a matching space helmet, astronaut backpack, space boots and gloves. It's definitely not the cheapest costume you'll find but is is really impressive. Below we'll look at each of the parts of this costume - you can just buy the individual parts separately if you don't want the complete look. We'll also look at some other ideas for astronaut role play and dressing up. Space is a brilliant theme for dressing up for Halloween or any occasion. Kids of all ages are fascinated with space and this costume comes in sizes for preschoolers, little kids, big kids, tweens, teens and even an adult size. And of course an astronaut costume works well for boys and girls. This white Junior astronaut suit can be bought on it's own or as part of a complete space outfit. The suit is packed with details like zips and velcro and official Nasa patches. The Nasa white cap is also included with the set. It's quite unusual for a dress up costume to get really good reviews for quality, but this one does. You can even machine wash it on a gentle cycle. It's made by people who want kids to be interested in space exploration. You can get this suit in a toddler size 2/3, preschooler 4/6, little kid 6/8, big kid 8/10 and tween 10/12. There's an adult version available too. I think the Astronaut backpack is the best part of the space suit costume. It's designed in the same boxy style as real space backpacks. It's not just a costume accessory, it's a real backpack where your junior astronaut can store his or her space boots and helmet. It also has outer pockets for space food and other supplies. Or perhaps they can store all the candy they colllect when out trick-or-treating on Halloween. You won't see many Halloween treat bags as cool as this! And yes, you can even get matching, very cool space boots and astronaut gloves in kid sizes to complete the look. The boots are worn over the top of regular shoes or sneakers so they'll keep little feet warm when out in the cold weather at Halloween. Kids will love this Astronaut Space Helmet. It has a pop up visor and sound effects. Note that the helmet is quite large so it will fit bigger kids, but the littlest ones may find it a bit heavy to wear for a long time. If your space kid plans on landing on the moon, or anywhere else for the first time, then they'd better take a flag with them to claim the territory. 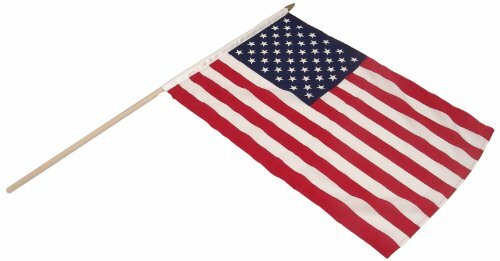 This 12in x 18in US flag on a 24in stick is just the job to finish of a space costume. Make sure you have a camera or video camera to record the event for history! An astronaut suit makes an excellent costume for a girl who is interested in science and space exploration. Here are a couple of female astronauts who have made history. Mae C Jenison - Accomplished astronaut, and she's been in Star Trek: TNG! Every astronaut should know the history of those who have gone into space before him or her. 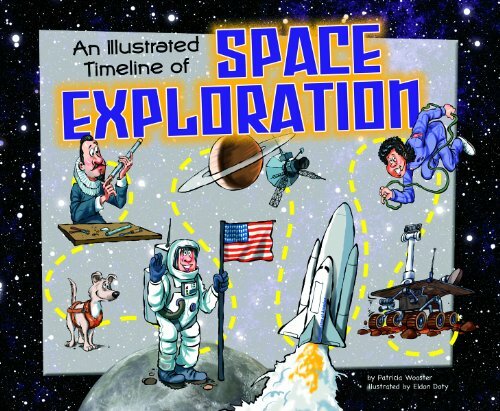 If your child is going to be dressing up as an astronaut then it's a great idea to read up on some space facts. They'll be able to impress everyone at Halloween if they can stay in character and explain the accomplishments of a famous astronaut. An authentic addition to any space costume is space food. This pack includes Astronaut Ice Cream and Space Food Sticks. These items are edible and are similar to what astronauts would eat in space with the restrictions of no gravity and limited water. You can give them to your little astronaut as their first treats when they go trick-or-treating. It's fun to use them as props for a while before eating them. Need Somewhere to Store Costumes? Astronauts in space is a brilliant theme for a party. Here's a collection of my favorite space party supplies and ideas for planning a fun space party. Did you like the Kids Space Suit Costumes? This is a very cool space costume for kids. I think the suit looks very authentic.